Caterpillar Local Host Plant: Costus lucanusianus (Costaceae, common name: African Spiral Flag). 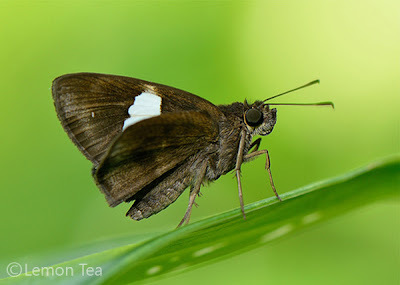 Above, the wings are dark brown. 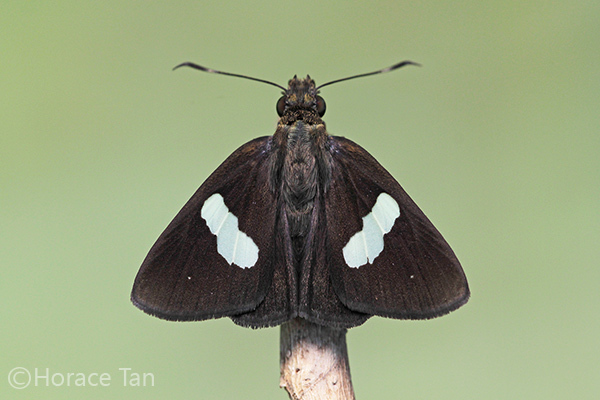 The forewing has a large white band consisting of conjoined spots in spaces 1b, 2 and the distal end of the cell. There is usually a small white hyaline spot in space 4 of the forewing. The hindwing is unmarked. 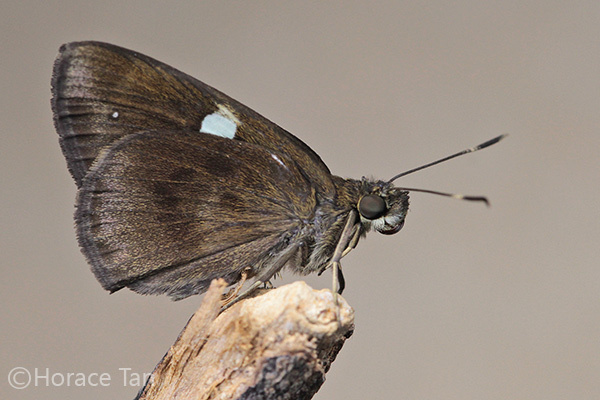 Underneath, the wings are brown and dusted with purplish scales next to the termens. The purplish hue is more readily observed in pristine specimens. The antenna has a pale whitish band just below the club. 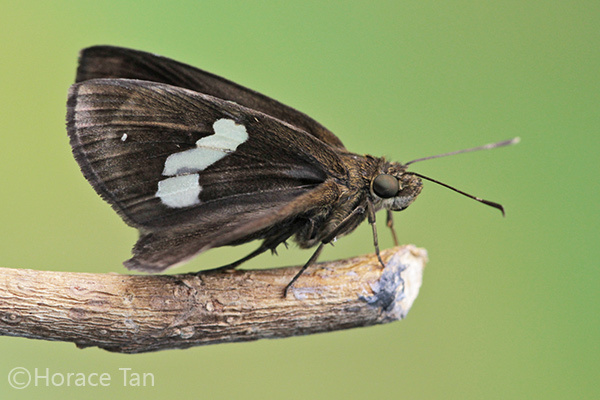 Banded Demon is moderately common in Singapore. 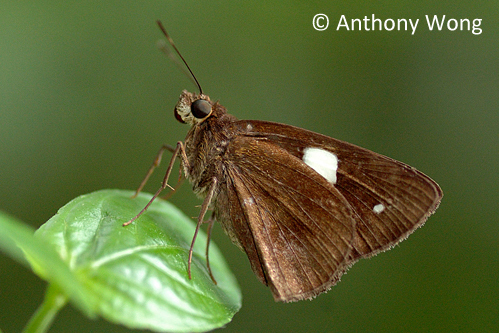 The adults are rather localized and are typically found in the vicinity of its host plant in the fringe of the nature reserve. The adults are fast fliers among the ground cover and shrubbery. They visit flowers for nectar, and at times perch on sun-bathing spots with half-open wings.